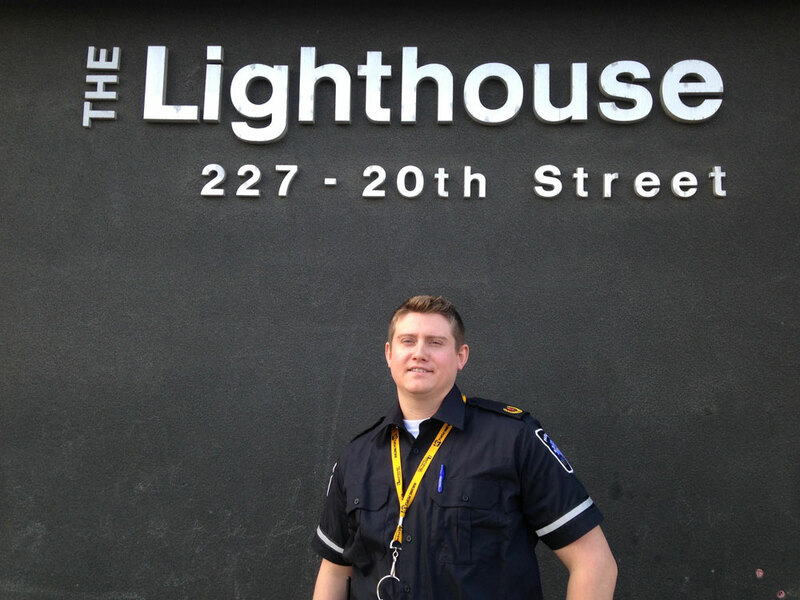 As I walk to The Lighthouse on a sunny spring morning, I try to mentally prepare for my ride along with the Mobile Outreach program. Then I realize that I’ve worked at the shelter for three months and only have a vague idea of what the support team actually does. The front desk is a hub of activity as the morning shift change takes place, and day staff are updated on the events of the previous night. I meet up with Suze Doucette and Roy McCallum, who will be taking me along with them for the day. 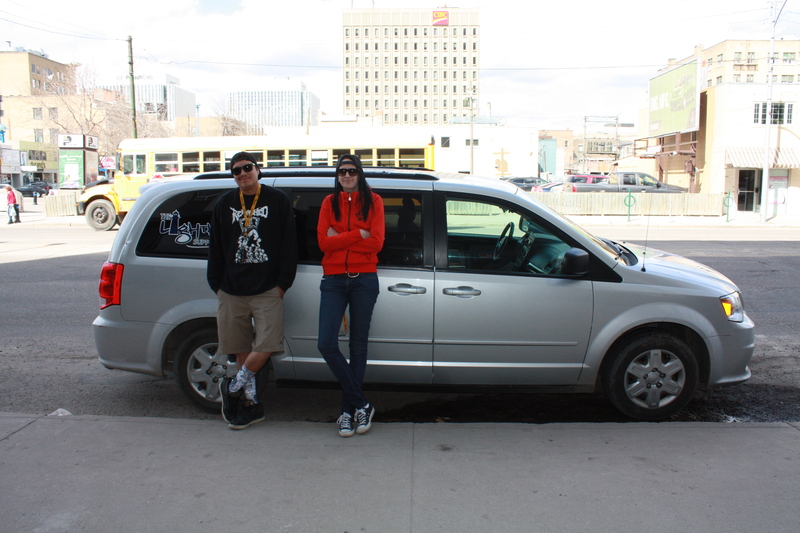 We hop in the grey Dodge Caravan as McCallum throws a cooler packed with juice and sandwiches in the back. Our first order of business is to take two clients to the Rexall on 20th Street to get their morning dose of methadone. They’re both shaking from withdrawal. 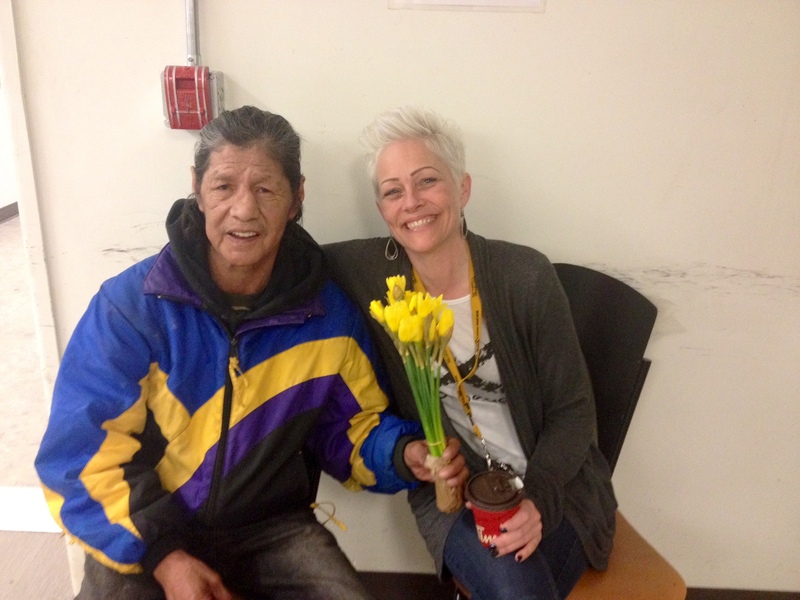 “I’m so happy we have outreach!” exclaims one of the clients. 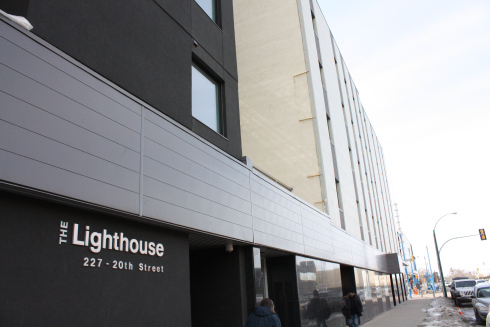 The Lighthouse only recently secured funding from the Saskatoon Health Region to operate the program 16 hours a day, from 8 am to midnight. The extended day hours means we can transport clients to their appointments all over the city. Before the program she would have to walk, bus or take a cab on cold days. McCallum is quieter throughout the day, focused on driving. But it’s easy to notice both of them light up when we see clients on the street. They keep the windows rolled down, honking and yelling greetings to everyone by name. We drive past a man on a bike and Doucette says, “He’s still sober, that’s great!” We pull over to chat with him and McCallum gives him an orange slip of paper– a free pass to the YMCA to use the gym, pool and shower. “You see? I told you I’d take care of you!” McCallum says. We spend the rest of the day zipping around the city, taking people to doctor’s appointments, driving clients to drop off housing forms and handing out juice and snacks. The phone rings every few minutes and Doucette answers. It’s usually the front desk with another person who needs transportation. McCallum tries his best to get clients to their appointments on time. We head to Riversdale to pick up the man we saw biking earlier. He has a doctor’s appointment in fifteen minutes on the other side of the city. While en route he explains that his doctor recently moved to Stonebridge and it’s too far for him to bike there. After we drop him off, Doucette says, “If you could have seen him four months ago, you wouldn’t believe he was the same person.” She explains that when she met him for the first time last winter, he was intoxicated and suicidal- on his way to jump off the bridge. “My training immediately kicked in and I knew I had to talk him down,” says Doucette. She spent an hour with him and eventually got him to sleep at The Lighthouse that night. Since then he has been committed to staying sober and getting his life back on track. “That rarely happens,” admits Doucette. As we wait for someone at the bank, Doucette notices another client across the street, intoxicated and panhandling. She calls him over and gets him into the van, “It’s time to get some sleep,” she tells him. He comes with us willingly and we take him to the Stabilization Unit at The Lighthouse to sleep it off. He was seven months sober. On top of a keen sense of humor, support workers also need a lot of training. First Aid, Applied Suicide Intervention Skills Training (ASIST) and Part and Wave, which teaches how to de-escalate violent situations, are required to work in outreach.